I'm back with another review and Friday Giveaway! 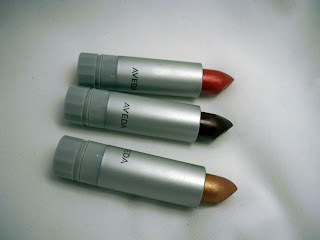 I've featured Aveda's Fall Collection in a few looks and tutorials already but I wanted to make sure to give you a detailed review and also give you guys a chance to try out the products! 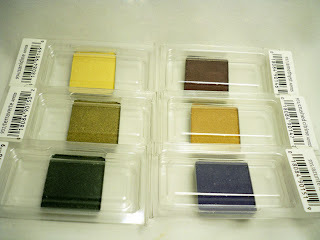 Let's start off with my favorite, the eyeshadows! I love how they come in pans because they stick perfectly to a z-palette. You can also choose to buy the containers separately, but this way is more ecologically friendly. These shadows are really nice...they're pigmented, smooth and aren't overly shimmery. I like that you can wear all of them together without them being too matte or shiny...it's a nice, metallic texture with no powdery effect or crumbling. 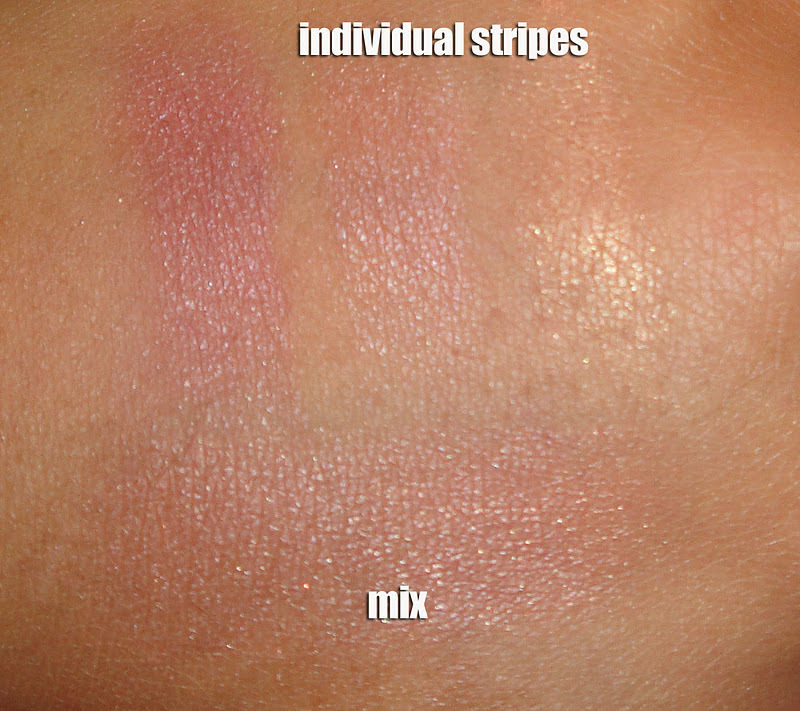 Next we have the Tessearae tri-color bronzer/blush/highlighter. 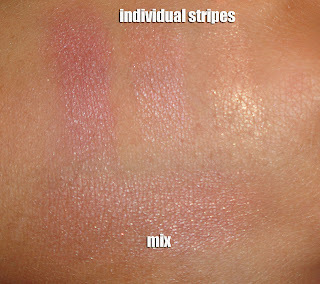 I find that when mixed together this is a nice, neutral cheek color on me. 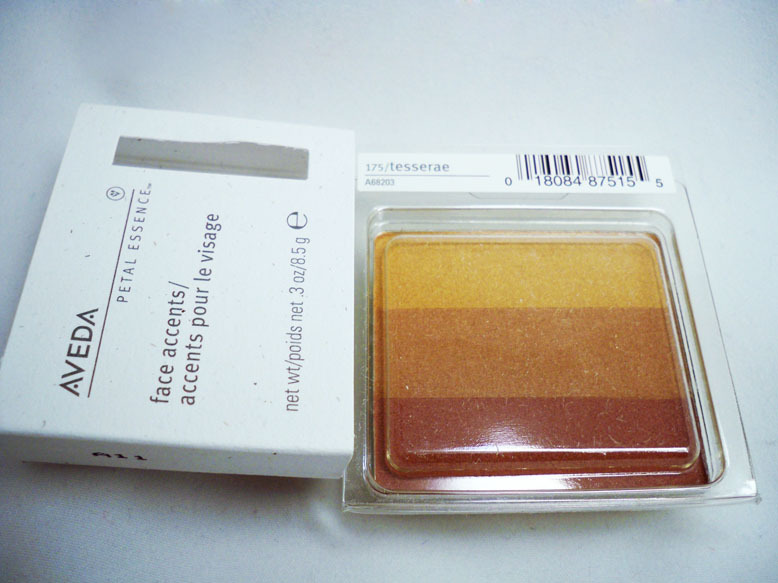 It comes off as a pinky bronzey brown on my skin tone. 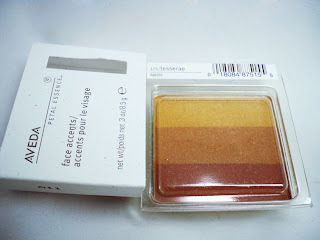 I think this is a good option for those who are a little timid of blush - for that reason I gave it to my mom! 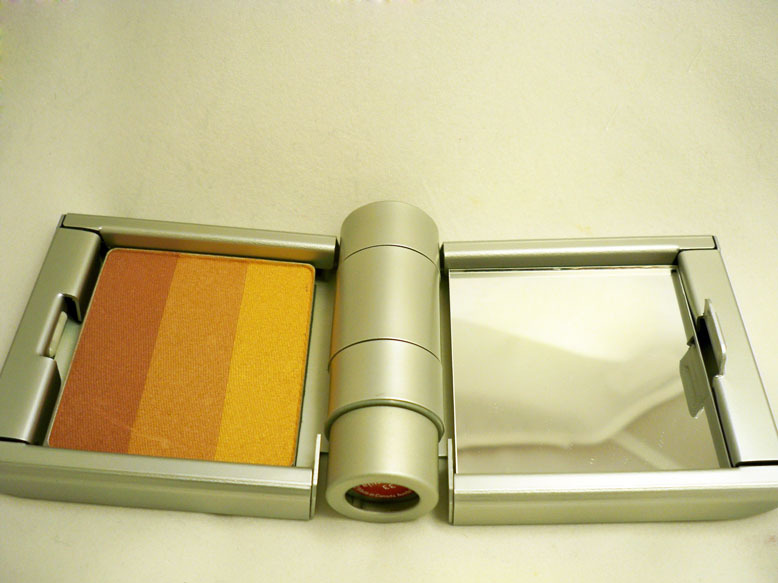 You can conveniently place the tri-color pan into this mirrored compact which can also hold one lipstick. 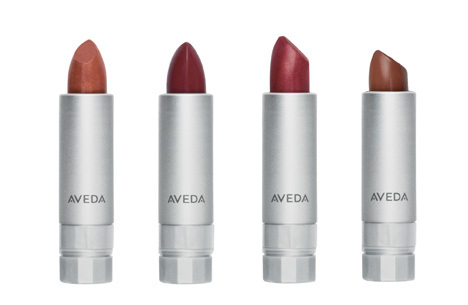 Next we have the lipsticks. 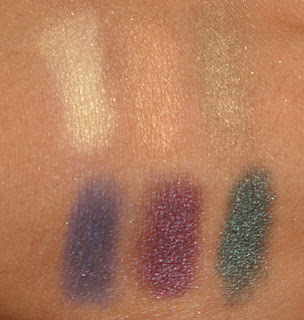 I find them all to be nice and pigmented as well as moisturizing. They all have a really refreshing minty scent. Unfortunately, I'm not really a fan of metallic finish lipsticks which most of these are. However, I am absolutely in love with Tanzanite - a creamy deep wine tone. You can wear it sheer or build the color up...watch out though, it's super creamy so it can tend to move a bit. It's best to wear it with a coordinating lip pencil. I was able to try one of the lip glazes and I actually love the color they sent - Wineberry Nourishmint Rehydrating Lip Glaze. It's also very moisturizing and minty and this is an everyday, appropriate color. 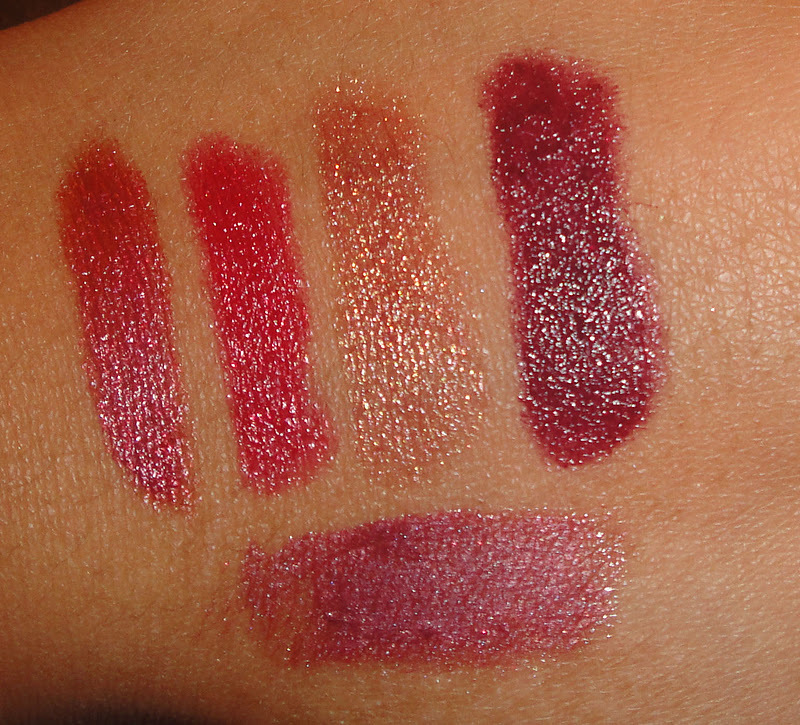 Swatches of the lippies. Top Row is lipsticks and bottom is the gloss. 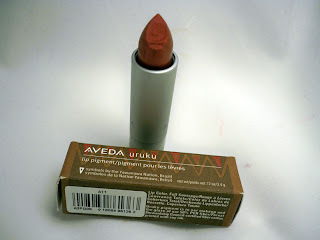 I definitely suggest that you all give Aveda cosmetics a try. It's a really wearable line that is high quality and very environmentally friendly. Now it's the time we've all been waiting for, Friday Giveaway! FTC Disclosure: Products sponsored for review and giveaway. I am not affiliated with this company and not paid to make this review. These are my honest thoughts and opinions. I really want to try this line, because my look needs to be updated. Please pick me! Iwould like to win because I would like to try their makeup. I'd love to get a chance to try this makeup brand. thank you for the giveaway! I would like to try Aveda products because I never have before and these look great! I would love to win because I want to try their products. Hi Ren, i would love to win because i am always on the hunt for new products which are highly pigmented and suitable for our weather and skin. Winning will give me a chance to try out these products and if good, recommend to others. I would like to try this product line because I have tried previous Aveda products have been really impressed. It is also a very fashion forward brand. 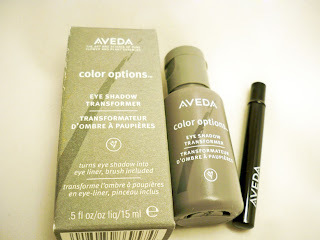 I'd love to win this set because I love trying new products, these especially because Aveda is environmentally friendly. I've heard a lot of good things about the eyeshadow transformer. And those lipsticks are gorgeous! I'll love to win this because I have never tried that brnad before, I am sure I can't get here in my country and it does look like ana amazing brand! Lovely review, Ren. I would love for a chance to try out cosmetics from this brand. 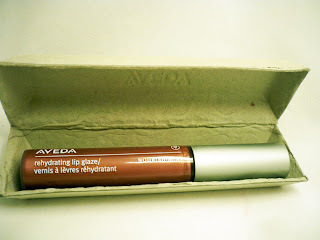 I enjoy Aveda's skincare and makeup. I would love to try the giveaway items. Most of all, I support Aveda because they promote environmental awareness and they use natural ingredients in their products! Thanks! Hi, I've followed you on GFC (Kristin M/kristincoyne123 at gmail dot com). I would love to win this because my make up collection is depleted and the products look amazing! I really like to try this! Seem sooo great!! 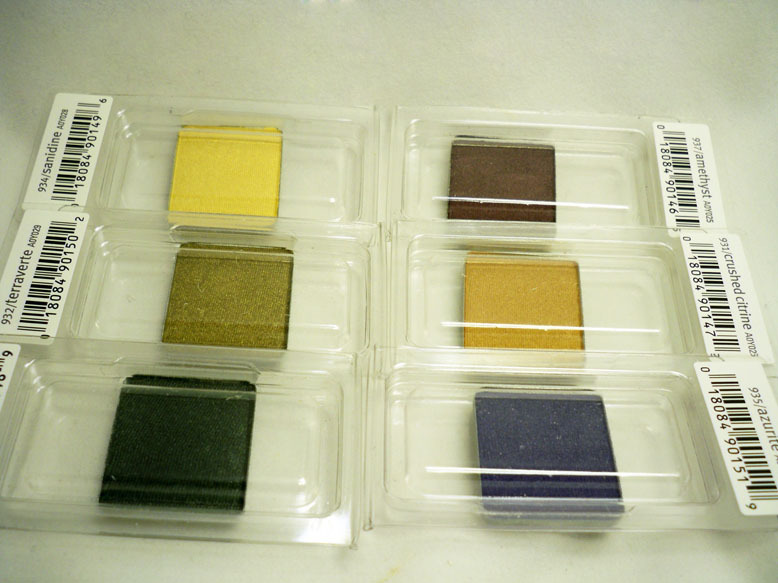 That is super cool...the colors are very earthy and suitable to a huge range of skint ones.Good to know about new products and colors here. I am a recent follower your have been so inspirational. I would love to try either of these products as I have not done so, and I am trying to build my MUA kit. I have decided to start freelancing. Thanks for such an awesome giveway! 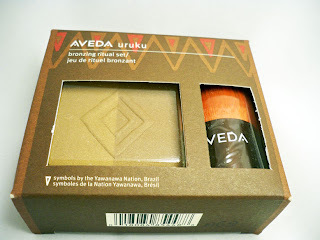 I love to win because I want to try the brand Aveda!looks promising! i havent heard about this product before and i love trying out new products! :) thanks for the giveaway, so generous! i would love to win this b/c i would share as christmas presents!